It’s not a huge coincidence when cosmic forces align for art and fashion to collide; it’s not as though they travel in radically different orbits to begin with. Their rendezvous, however, are usually casual happenstance, rarely planned out as a scheduled routine because that would be predictable—and, moreover, not incredibly cool. But in one instance, art and fashion pair up in Park City for a good cause—Summit County Friends of the Animals and Peace House—and the ticket price includes a selection of food and wine. The fashion side of the equation runs the gamut from Flight, Cake, Burt’s Cowboy Shop, Olive and Tweed, Whimsy, Mary Janes, Hildas, Convictions and, for the canine coutureconscious, Lucy Has Everything dog fashions. Skullcandy will provide a winter-gear preview lounge. The culinary arts are represented by tasting stations from Park City restaurants. So art and fashion intersect at several different points at this juncture: culinary presentation and style; literal canvases; and art that shapes itself to the contours of the body, making comfort a part of style. Art Meets Fashion Park City includes an illuminated runway, projection screens, live music, exhibits and displays of art in the wild with artist demonstrations—as well as art on the wall—from Phoenix Gallery, Gallery Mar and more. Also check out the exclusive graffiti art by Spiro artist Ben Wiemeyer, who has been seen at the Utah Art Festival, and garage door paintings at Neighborhood House in Salt Lake City. 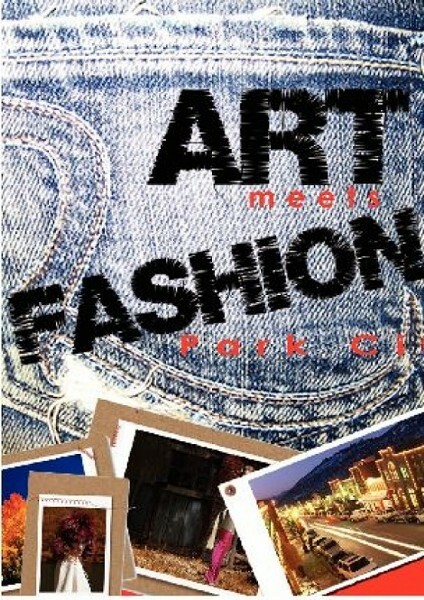 Art Meets Fashion @ The Yard, 1251 Kearns Blvd., Park City, Saturday, Oct. 17, 6-10 p.m., 801-953-0109.